Protect our water supply from fracking. Gas drillers are blocked from fracking in the Delaware River Basin, but whether that policy continues is anyone’s guess with President Trump in the White House. He’s already green-lighted the Keystone XL and North Dakota Access pipelines, and Trump’s energy policy is largely based on massively expanding natural gas drilling nationwide. We can’t afford the environmental destruction that fracking will bring to the Delaware River Basin. Because of cleanup efforts and investment, areas that were once highly polluted are now safe for swimming and fishing, and bald eagles are coming back. Fracking could use up millions of gallons clean water, release polluted fracked water into the surface and groundwater, and tear up the forests that naturally filter our waterways. The Delaware River Basin Commission (made up of the governors from Delaware, New Jersey, New York, and Pennsylvania, and one federal representative) has kept fracking out the Basin. But if the Trump administration throws its weight around, we could see the area opened up to drilling, and polluters’ profits put ahead of clean drinking water for over 15 million people. 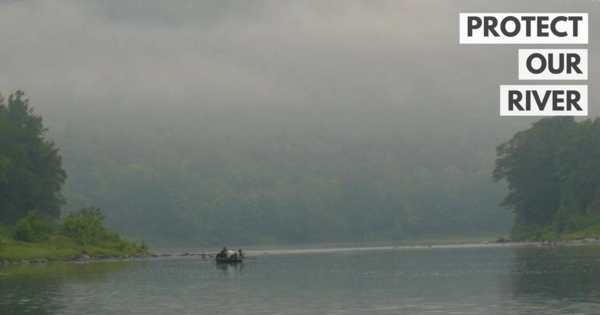 We’ve got to keep Trump’s polluter friends out of the Delaware River Basin. 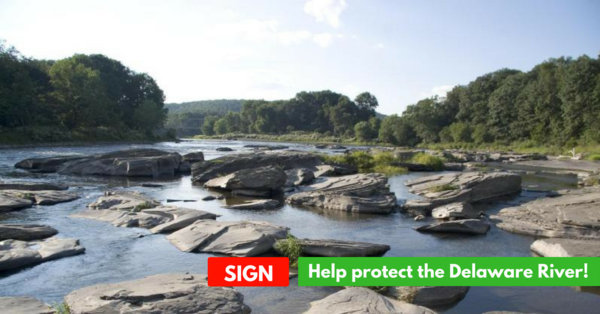 Sign onto the petition to tell the Delaware River Basin Commission to protect the largest drinking water source in the Northeast by permanently banning fracking in the Basin.